It’s Thursday, it’s 10.30am and it’s definitely time for cake. In fact, I’ve just had a bit at the lovely 200 Degrees coffee shop in Nottingham (other 200 Degrees are available). They even had a joke on the board outside, ‘I had a joke about construction, but I’m still working on it’! How rude?! How many people watched the new GBBO this week? If you’d seen the publicity photos leading up to it you would have noticed they were all holding a piece of rainbow cake. So, what’s that got to do with Construction? I recently wrote a course for the Chartered Institute of Building Academy on Ethics and Compliance in Construction. It’s a free five week course on the FutureLearn platform and we’ve already had two cohorts go through it with some great feedback. When I was writing the content I had to think really hard about how to describe ethics. I’m a Chartered Surveyor, have been since 2001 but apart from a ‘knowing’ of what is right and wrong and adhering to codes of conduct, I hadn’t really delved deeply into the subject of ethics. One evening, I had a flash of inspiration (or maybe I was just hungry!) 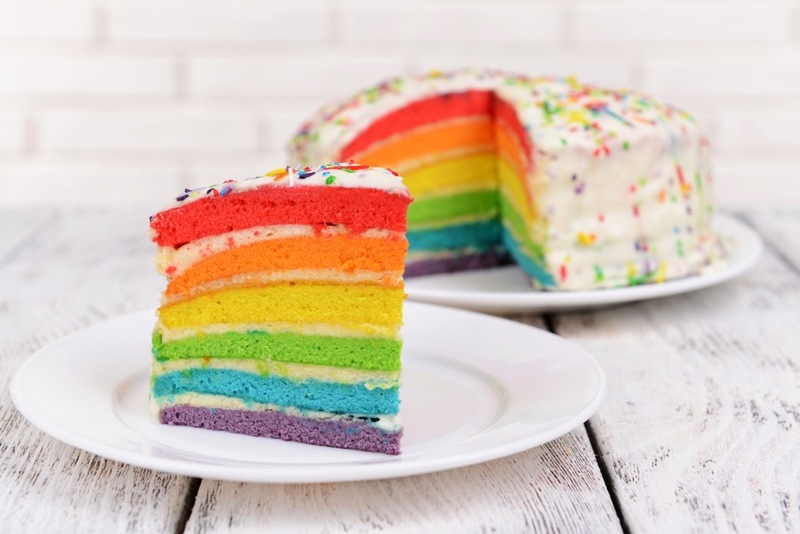 and a picture of a rainbow cake came into my head. Writing this course has got me thinking about behaviours and culture in our industry and the concept of being able to be yourself in the workplace or, bringing your whole self to work. Having to suppress who you are can have such a negative impact on your mental wellbeing but first of all you have to know who you are in the first place. From the feedback the CIOB have received so far, this course has definitely helped with that and started some great conversations. The next run of the course starts on the 25 September 2017 and there is a link here to book your place. With the ‘bringing your whole self to work’ concept, I recently posted a video of me ironing on my Facebook page. The video wasn’t made because me ironing is such a rare occasion (although my husband would beg to differ), it was in response to a post I read on Facebook a couple of weeks ago. If you do watch it, I would be interested in your thoughts. My husband was also very confused when he came home to see the ironing board had been used, but at least he had a shirt ironed that day!